In light of the recent termination of the offsetting severance payment and long service payment mechanism announced in Carrie Lam’s second Policy Address, it may be time to review your company’s Mandatory Provident Fund (MPF) provider. 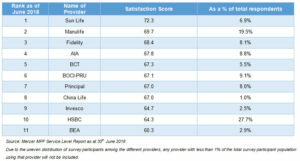 Compiled by Mercer, the MPF Satisfaction Index ranks the MPF providers based on the average satisfaction score from users. The overall MPF satisfaction index levels remain steady. Despite the seemingly sharp decline between May and June and between July and August, the average satisfaction levels flutter at around 50 out of 100. Compared with the preceding three years, Sun Life has been the fastest growing provider. Sun Life and Manulife are the only providers whose market share has soared over the past three years. Billy Wong, Mercer’s health and MPF business leader, suggested it might be due to their growing acquisitions of MPF businesses and the phenomenon that recurrent members actively chose their schemes under the Employee Choice Arrangement. As a human resources professional, holistically selecting a MPF provider can help employees maximise their retirement fund. 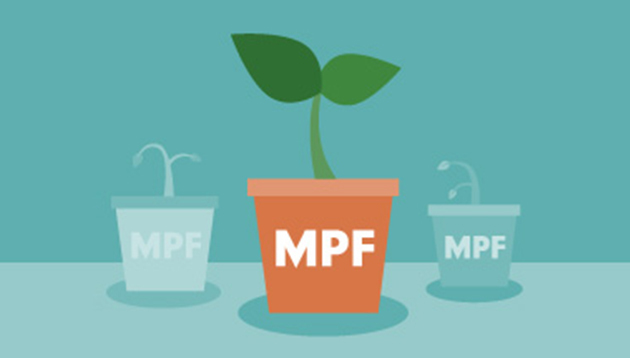 Nowadays, many MPF providers find ways to concede to users’ needs. HSBC, Hang Seng, Manulife and AIA all provide add-on customer services, including financial wellness education and e-alerts. Manulife and Fidelity curb their competitors on the MPF scene by providing mobile applications. Companies tell us exactly how they're solving the gender-gap concerns - from employee resource groups, to unconscious bias trainin..
What happens when you get six HR and talent acquisition leaders to comment on the future of the recruitment function? Absolute fun..
Just announced are two programmes - career development skills framework, and PCP for sales executives to transition to this sector..